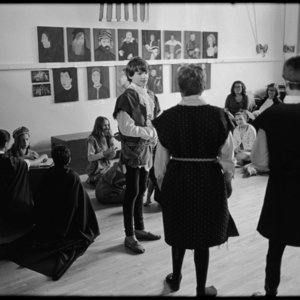 Xs perform a medieval play in the Yard. 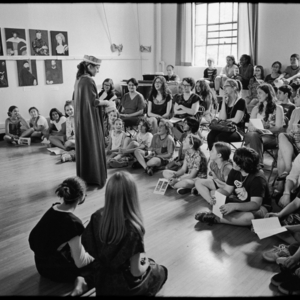 XIs perform their play set in Renaissance Venice. 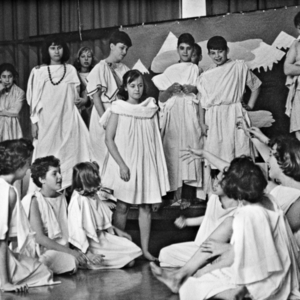 XIIs in the class of 1962 perform their play on Greek mythology. 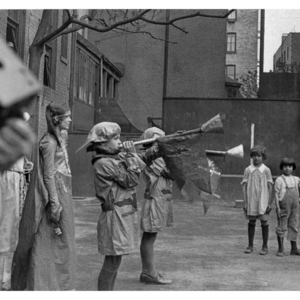 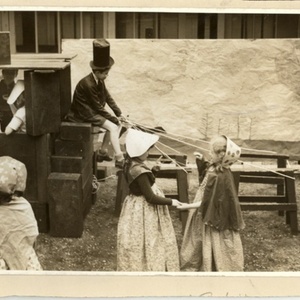 XIs, in the 1920s, use outdoor blocks to dramatize their social studies play.